It's much softer than the last. 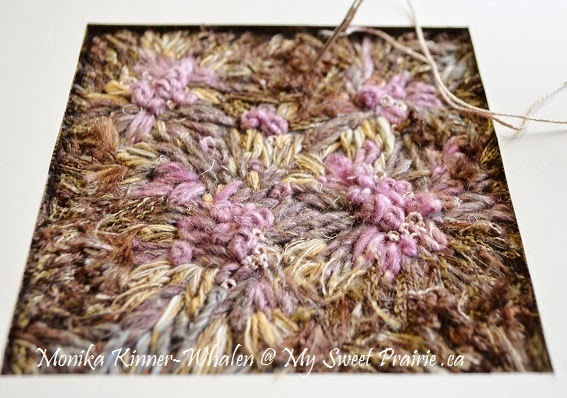 It's dirt, dried grasses and pink. I find this one very soothing. I'm adding some knots in hand dyed silk. 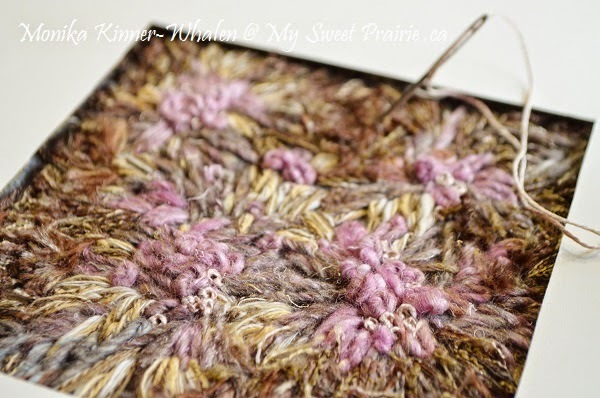 I have a couple more ideas for little ones, so I'll just keep stitching away over the next couple of days. 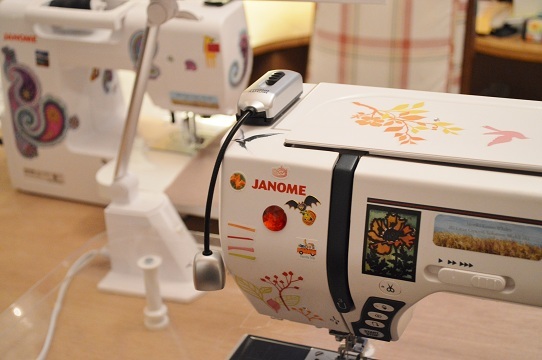 On Thursday, I am teaching again at Creative House Sewing Centre. It's for Threadpainting, and would you believe it if I told you there were students attending from Saskatchewan, Alberta, two from Manitoba, and even all the way from New Brunswick!? I'm not even kidding. This is just how it came together. I'll post all about how it went on Friday. What else can I tell you? A feature online review of my art came out last week. I am a little embarrassed. It is incredibly poetic and all-encompassingly beautiful. (If that's not a word, it is now.) WAY more so than I was expecting. 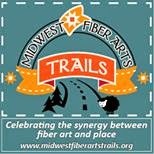 Jenny Wilder of Midwest Fiber Arts Trails contacted me earlier in the year to ask for an interview. Of course I said yes. It sounded like a great opportunity. Over the next while, she asked me loads of questions through a series of interviews online, digging deeper, asking more and more. She left no stone unturned. I enjoyed the process very much. I love answering questions. It gives me the opportunity to stop, step back, and put what I feel into words. It makes me describe what it is that I'm doing. Usually - I am just doing. And doing and doing... and not stopping to analyze it. Last week, she told me it was all done and published on their site. I went to read it and was quite overwhelmed to say the least. The article is entirely in her words. She wrote this, not me. It is entirely her viewpoint of me and my art. She did a fantastic job! I am floored. Wow does she ever have a way with words. You can find the review, and their GREAT website HERE. Great interview Monika and I agree she has a way with words . I have signed up for the exchange , should be fun . what a thrill to read such a great interview - congratulations! I've signed up fot he swap - should be fun! I'm in on the exchange too! Now to check out the artcile about you!